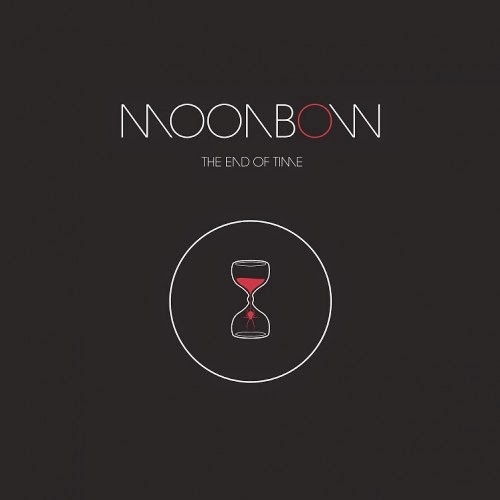 When you're listening to The End Of Time, the debut album of stoner rock formation Moonbow, you'll notice how professional it sounds. Both sound and production are great, making the heavy rock songs sound spot on. That may be remarkable for a first record, but when it becomes clear who are playing in the band it explains a lot. Singer Matt Bischoff found a good musical partner in David McElfresh (Lethal and Hank 3 a.o.) and was able to recruit bassist Ryan McAllister (Valley Of The Sun) and drummer Steve Earle (Afghan Whigs, Hermano). You might want to call it a supergroup although this qualification usually is a curse instead of a blessing, since it often leads to disappointment. Fortunately this is not the case on The End Of Time. Instead it is a good album with heavy rock songs that remind of Kyuss, with lazy guitar riffs and pounding drums. Nice detail is that Kyuss singer John Garcia, currently in Vista Chino, is guest singer on 'Take It For Granted', a rugged groovy song. Guitarist McElfresh plays an important role with his powerful guitar playing and shredding solos, for example in 'Journey Of The Iron Horse'. As is customary in good stoner rock, the band takes you on a hallucinating trip regularly with slow jams, like in the great lazy 'Fire Bath'. Again the jams are of a high level and you wish they would go on forever. But the band is carefully avoiding monotony and knows exactly when to stop, keeping it interesting throughout. Eventually the LP already finishes after half an hour but you wouldn't mind a few more songs. 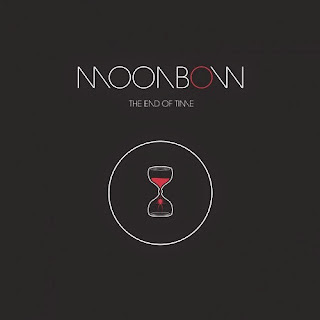 The End Of Time is an outstanding record, where the musicians are getting the best out of each other. They are all prepared to play in support of the music, without trying to show off their reputation. That way they leave an impression with their joint effort and it becomes clear how well they complement each other. Hopefully Moonbow isn't a one time project and can we expect more of them in the future. Listen to 'The End Of Time' on Spotify.